Archives (template-archive.php) – displays lists of all categories, monthly archives and popular tags. 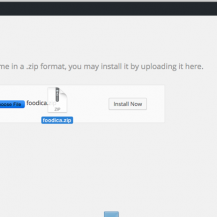 Full-width (template-fullwidth.php) – a full width page template without the sidebar. Blog (template-blog.php) – a page that will show all your post in a blog layout (useful for business themes with static content). For most of our non-blogging themes, like Inspiro, you have to set a static page as your front page. 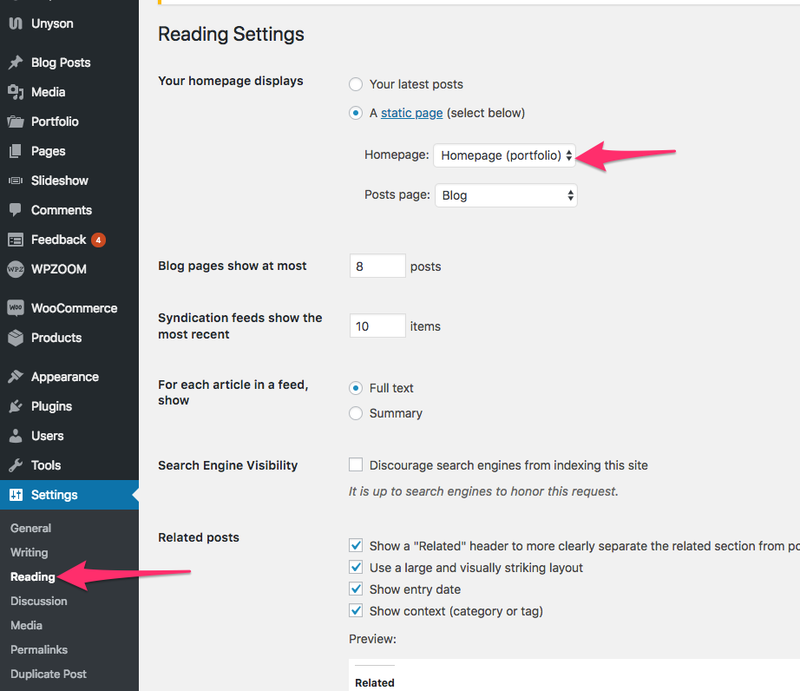 Optionally, you can create another page on which the Blog posts will be displayed. Go to Settings → Reading page. 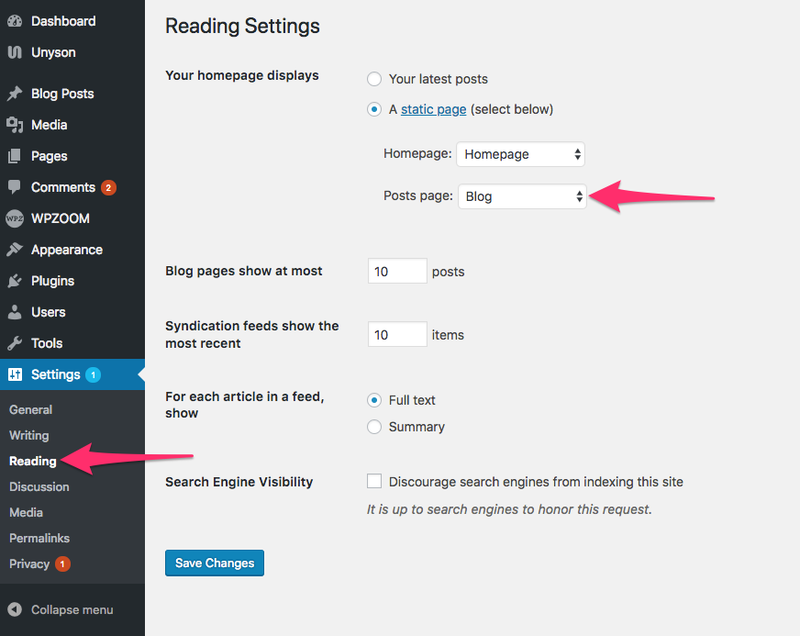 In order to show the blog posts on the new page, just select it in the dropdown Posts Page and save changes.